The team here at ASRTD wish you all very happy and wonderful 2019! Start the new year off right by culling all that leftover baggage from 2018 and start repainting the canvas of your new look. New year, and even newer you! 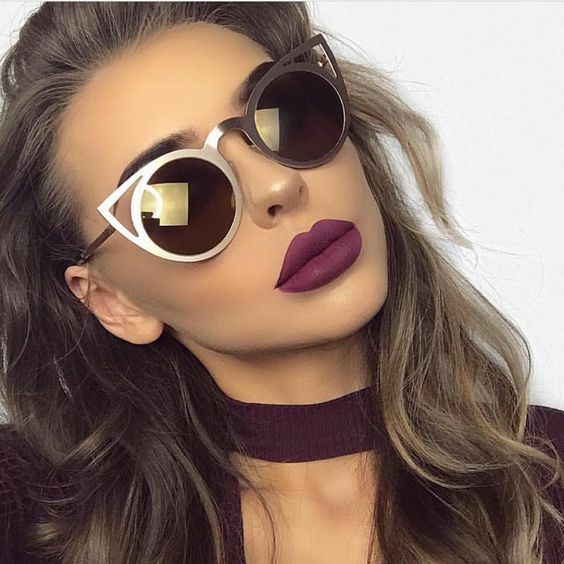 It's go time to start decluttering your sunglass reserves and sticking to more classic and simpler eyewear pieces to offset the new wave of colors coming into the fashion space this year. Believe it or not, less is definitely more. Be fair warned though, before you start your purge try to suppress the urge to hoard pieces you know you really should have ditched ages ago. If you haven't worn them in the last couple months or if they only fit a very niche outfit you wear once in a blue moon - chances are they won't be in your new rotation anytime soon. A little progress goes a very long way so don’t throw everything out the window just yet. We know benching your once loved grails can be painful so we've come up with a simple guide to help you edit down your closet to help make those choices much more bearable. DITCH: Rainbow Reflective Lenses - 2018 has churned out nearly every color palette available in mirrored reflective lens form. You can't be Coachella ready all year round so it's due time to dial back a little. Try rocking more solid and neutral colors to kick start the year and transition the color to your wardrobe instead. KEEP: Ovals and Geometric Shapes - We think the more reserved shapes are edging their way in this year with much more simpler and darker tones. Stick with the more classic looks and hold onto the frames with a timeless appeal. Check out our Hex, Alix and Cara for starters. DITCH: Cat Eye Frames - We've seen just about every iteration of the cat eyes resurgence last year, so we think the cats been out of the bag for long enough. Retro styles do have a tendency to make a comeback into the fashion scene now and then and always with a slight modern twist, but the ship has sailed and the year of the cat has passed . Time to pass the baton and look forward to the newest craze. KEEP: Tortoise – don’t sleep on this swatch. With the surge of more unique prints coming along this year – we see you snakeskin – don’t neglect the slower one to the race. This classic accent will definitely be the sleeper hit of the year. DITCH: Wood Accented Frames – It's there, it's niche but let's just leave it at that. You guys are much better off styling your outfits without having a pair of popsicle sticks as prominent your statement piece. The steady rise of more eco-centric fashion is a great way to build a more sustainable fashion wardrobe but unless you're vacationing near a sunny beach at all hours of the day, you may want to hold off until the summer.